"Paris 2024" redirects here. For the Summer Paralympics, see 2024 Summer Paralympics. 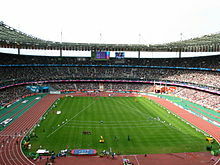 The 2024 Summer Olympics (French: Jeux olympiques d'été de 2024), officially known as the Games of the XXXIII Olympiad (French: Jeux de la XXXIIIe Olympiade), and commonly known as Paris 2024, is a forthcoming international multi-sport event that is scheduled to take place from 26 July to 11 August 2024 in Paris, France. Having previously hosted the 1900 and 1924 Summer Olympics, Paris will become the second city to host the Olympic Games three times, along with London (1908, 1948, and 2012). The 2024 Games also mark the centennial of the 1924 Games. This will be the sixth overall Olympic Games held in France (including summer and winter Games). Bidding to host these Games began in 2015 with five candidate cities in contention, but Hamburg, Rome, and Budapest withdrew, leaving Paris and Los Angeles as the two candidates remaining. A proposal to elect the 2024 and 2028 Olympic host cities at the same time was approved by an Extraordinary IOC Session on 11 July 2017 in Lausanne. On 31 July 2017, the IOC made a deal with Los Angeles to host the 2028 Summer Olympics, making Paris the host of the 2024 Summer Olympics. The formal announcement of the hosts for both Olympiads took place at the 131st IOC Session in Lima, Peru, on 13 September 2017. Paris, Hamburg, Budapest, Rome, and Los Angeles were the five candidate cities. However, the process was hit by withdrawals, with political uncertainty and cost cited as deterring bidding cities. Hamburg withdrew its bid on 29 November 2015 after holding a referendum. Rome withdrew its bid on 21 September 2016 citing fiscal difficulties. On 22 February 2017, Budapest withdrew its bid after a petition against the bid collected more signatures than necessary for a referendum. In August 2017, it was reported that the Paris organizers held discussions with the IOC and various professional eSport organizations to study the possibility of introducing eSports as a medal-winning sport during the Olympics. On February 21, 2019, the Paris Organizing Committee announced they would propose breakdancing for inclusion in the program to the IOC, along with three of the sports that will debut at the 2020 Games: surfing, climbing and skateboarding. During the Lima Session, the IOC approved the Rio 2016 sports program for Paris 2024. New sports will be chosen during the 134th IOC Session in 2019 in Lausanne, Switzerland, subject to final approval by the IOC Executive Board in December 2020. ^ The local organizing committee uses the non-sponsored name Arena 92, which was the venue's name during its initial planning phase. 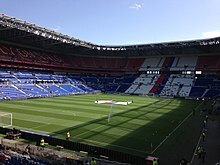 By the time it opened in 2017, the name had changed to U Arena, also non-sponsored, and then to the current Paris La Défense Arena in 2018 through a sponsorship deal. A call for tenders was launched in October 2018 to create the new Visual identity of Paris 2024, including the logo, the derivative brands, the Olympic torch relay, the graphic Charter for official broadcasters and the programme's dressing cultural accompaniment of the games. The applicants submitted their file on 7 November 2018. The emblem will be unveiled sometimes in late Spring or early Summer 2019. To be announced sometimes in early-to-middle 2021. ^1 – Included nations & territories are Cook Islands, Fiji, Kiribati, Marshall Islands, Federated States of Micronesia, Nauru, Niue, Palau, Samoa, Solomon Islands, Tonga, Tuvalu and Vanuatu. ^ a b "IOC Executive Board approve joint awarding plans for 2024 and 2028 Olympics". Inside the Games. 9 June 2017. ^ "Olympic Games: Paris & LA to host 2024 & 2028 respectively". www.bbc.com. Retrieved 16 September 2017. ^ Butler, Nick. "Exclusive: IOC vow to "further adjust" candidature process after Budapest 2024 withdrawal". Inside the Games. Retrieved 1 August 2017. ^ "Five world-class cities in strong competition for Olympic Games 2024 – IOC to contribute USD 1.7 billion to the local organising committee" (Press release). Lausanne, Switzerland: International Olympic Committee. 16 September 2015. Archived from the original on 18 September 2015. Retrieved 17 September 2015. ^ Rome 2024 Olympic bid collapses in acrimony Archived 21 September 2016 at the Wayback Machine at BBC News. Retrieved 21 September 2016. ^ "2024 Olympics: Budapest to drop bid to host Games". BBC. 22 February 2017. Archived from the original on 23 February 2017. ^ Mather, Victor (22 February 2017). "Budapest Withdraws Bid to Host 2024 Summer Olympics". The New York Times. Retrieved 23 February 2017. ^ "Budapest to withdraw bid for 2024 Olympics, leaving L.A. and Paris as only contenders". Los Angeles Times. February 2017. Archived from the original on 23 February 2017. Retrieved 22 February 2017. ^ "Meeting of the IOC Executive Board in Lausanne – Information for the media". Olympic.org. 19 May 2017. Archived from the original on 22 June 2017. ^ "Bach Says Paris and LA Mayors Are 'Optimistic' About Agreement After Initial Discussions - GamesBids.com". gamesbids.com. ^ "Paris set to host 2024 Olympics, Los Angeles to be awarded 2028 Games by IOC". ABC News. Retrieved 1 August 2017. ^ "Wrestling added to Olympic programme for 2020 and 2024 Games". Olympic.org. 8 September 2013. Archived from the original on 23 September 2016. Retrieved 13 February 2014. ^ "2020 Olympic Games: Shortlisted International Federations Report" (PDF). International Olympic Committee. August 2013. Archived (PDF) from the original on 23 February 2014. Retrieved 15 June 2014. ^ "IOC approves five new sports for Olympic Games Tokyo 2020". Olympic.org. 3 August 2016. Archived from the original on 7 October 2016. Retrieved 21 September 2016. ^ "Paris Olympic bid committee is open to esports on 2024 Olympic program". Associated Press. 9 August 2017. Retrieved 9 August 2017. ^ Morris, Chris. "Video Games May Be a Part of the 2024 Olympics". Fortune. ^ "Olympic Games: Paris organisers propose breakdancing to IOC as a new sport for 2024". BBC.com. 21 February 2019. ^ "No Changes in Core Olympic Sports for Paris 2024". Around the Rings. 15 September 2017. ^ "JO 2024 : les nouveaux sports seront connus en 2019" (in French). L'Equipe. 15 September 2017. ^ "Two phase selection process confirmed for new Paris 2024 sports but esports will not be considered". Inside the Games. 19 July 2018. ^ "French feminist group call for hijab ban at Paris 2024". www.insidethegames.biz. 4 February 2019. Retrieved 5 February 2019. ^ "French Muslim challenges veil law". 27 November 2013. Retrieved 5 February 2019. ^ "France's ban on veils violates human rights, a U.N. committee says". Washington Post. Retrieved 5 February 2019. ^ a b Connoly, Eoin (17 May 2017). "Wednesday's Daily Deal Round-Up: Olympic partnerships for Discovery and more". SportsPro. Sportspromedia.com. Retrieved 17 May 2017. ^ "IOC awards 2018–2024 broadcast rights in Asia". International Olympic Committee. Olympic.org. 29 July 2015. Archived from the original on 30 July 2015. Retrieved 29 July 2015. ^ "IOC reaches agreement for broadcast rights in Brazil with Grupo Globo through to 2032". International Olympic Committee. Olympic.org. 10 December 2015. Archived from the original on 13 December 2015. Retrieved 11 December 2015. ^ "IOC awards 2022–2024 broadcast rights in Canada to CBC/Radio-Canada". International Olympic Committee. Olympic.org. 21 October 2015. Archived from the original on 25 October 2015. Retrieved 21 October 2015. ^ "TSN, RDS to broadcast 2022 and 2024 Olympic Games". TSN. 21 October 2015. Archived from the original on 23 October 2015. Retrieved 21 October 2015. ^ "IOC awards 2018–2024 broadcast rights in China". International Olympic Committee. Olympic.org. 4 December 2014. Archived from the original on 7 December 2014. Retrieved 4 December 2014. ^ "IOC awards all TV and multiplatform broadcast rights in Europe to Discovery and Eurosport for 2018–2024 Olympic Games". International Olympic Committee. Olympic.org. 29 June 2015. Archived from the original on 1 July 2015. Retrieved 29 June 2015. ^ Carp, Sam (1 August 2017). "Report: ARD and ZDF secure long-term Olympic deal". SportsPro. Sportspromedia.com. Retrieved 1 August 2017. ^ "Hungarian Public Television Agrees Deal To Broadcast Summer And Winter Olympics Until 2024". Hungary today. hungarytoday.hu. 20 June 2016. Archived from the original on 21 June 2016. Retrieved 20 June 2016. ^ "IOC awards 2018–2024 broadcast rights in Japan". International Olympic Committee. Olympic.org. 19 June 2014. Archived from the original on 26 June 2014. Retrieved 19 June 2014. ^ King, Matthew (1 December 2017). "IOC Award América Móvil 2018-2024 Broadcast Rights in Latin America". International Olympic Committee. Olympic.org. Retrieved 1 December 2017. ^ "IOC awards 2018–2024 broadcast rights in Middle East and North Africa". International Olympic Committee. Olympic.org. 27 July 2015. Archived from the original on 30 July 2015. Retrieved 27 July 2015. ^ a b "IOC awards 2018-2024 broadcast rights in New Zealand and Pacific Island Territories". Olympic.org. 23 March 2016. Archived from the original on 26 March 2016. Retrieved 23 March 2016. ^ a b "IOC awards SBS broadcast rights for 2018, 2020, 2022 and 2024 Olympic Games". Olympic.org. 4 July 2011. Archived from the original on 20 August 2012. Retrieved 18 August 2011. ^ a b "IOC Awards 2018-2024 Broadcast Rights in Africa". IOC. Olympic.org. 10 July 2017. Archived from the original on 10 July 2017. Retrieved 10 July 2017. ^ "Olympics: BBC to broadcast every Games up to and including 2024". BBC Sport. 2 February 2016. Archived from the original on 2 February 2016. Retrieved 3 February 2016. ^ "IOC awards Olympic Games broadcast rights to NBCUniversal through to 2032". Olympic.org. 7 May 2014. Archived from the original on 8 May 2014. Retrieved 7 May 2014.